Greetings! One of my favorite movies growing up was The Wizard of Oz. I watched it every time that it was on television. 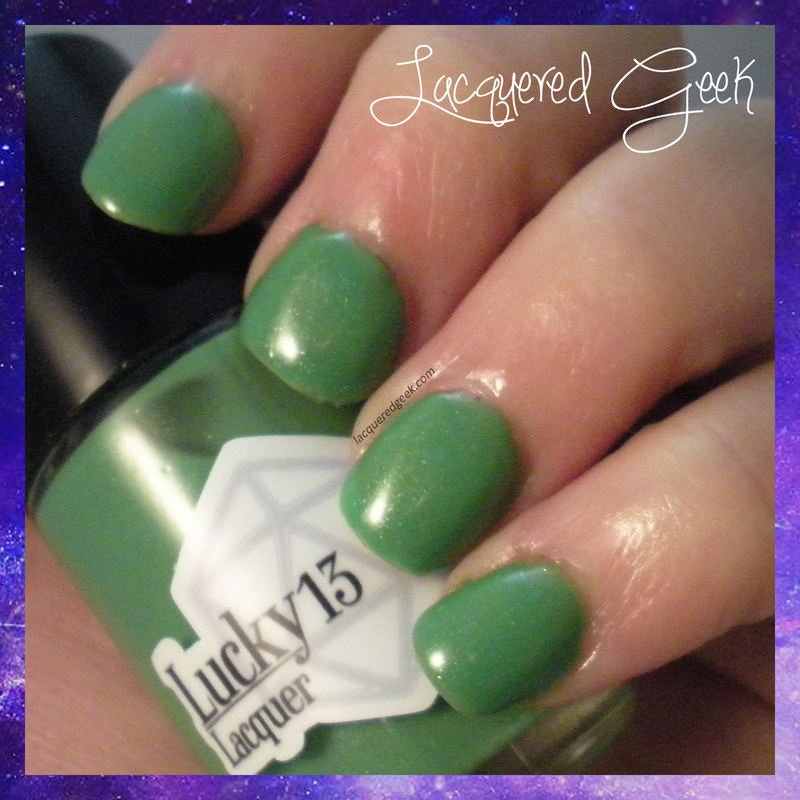 The polish that I'm sharing with you today, Bad Witch from Lucky 13 Lacquer, is inspired by the Wicked Witch of the West. Bad Witch is a bright lime green crelly with a gorgeous silver shimmer. Seriously, this shimmer is freaking amazing! It takes the normal neon crelly to a whole 'nother level!! The formula was quite sheer, but it was very easy to work with. I used 3 coats to cover the nail line. It dries shiny, but I still used a top coat. 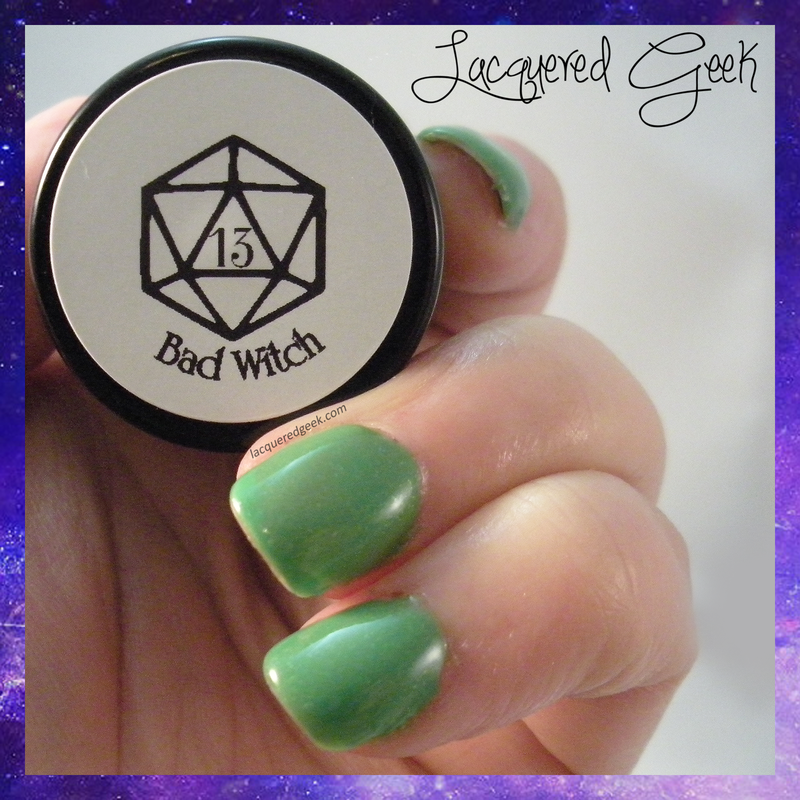 Bad Witch can be purchased from Lucky 13 Lacquer for $8.50. She's also got a polish inspired by the Glinda the Good Witch and the Emerald City. What do you think of this beauty? The musical Wicked is coming to my area in February, and I have found the polish that I'll be wearing when I go see it! I love the slight shimmer it has! Not a huge fan of green, but I can handle this one!